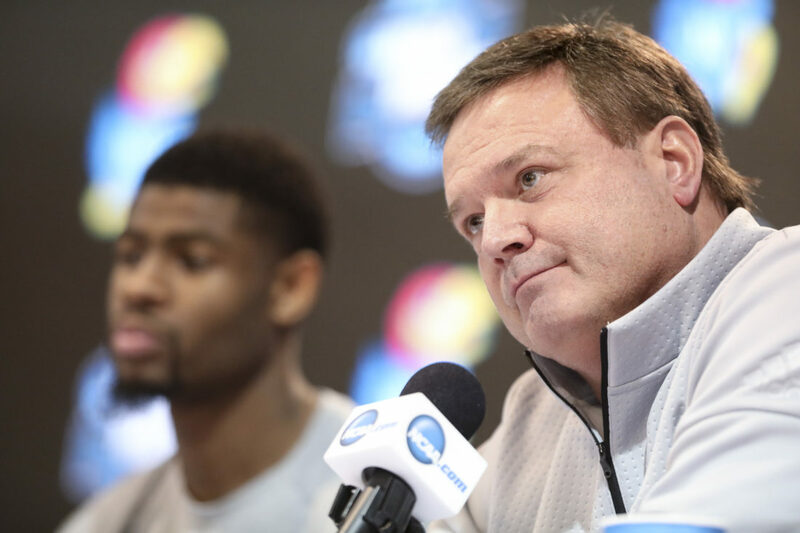 Kansas head coach Bill Self listens to a question during a press conference on Saturday, March 24, 2018 at CenturyLink Center in Omaha, Neb. What you make of the Monday revelations from the trial on corruption in college basketball very well could depend on what the giant letters in fancy font at the top of the framed diploma on your wall spell. 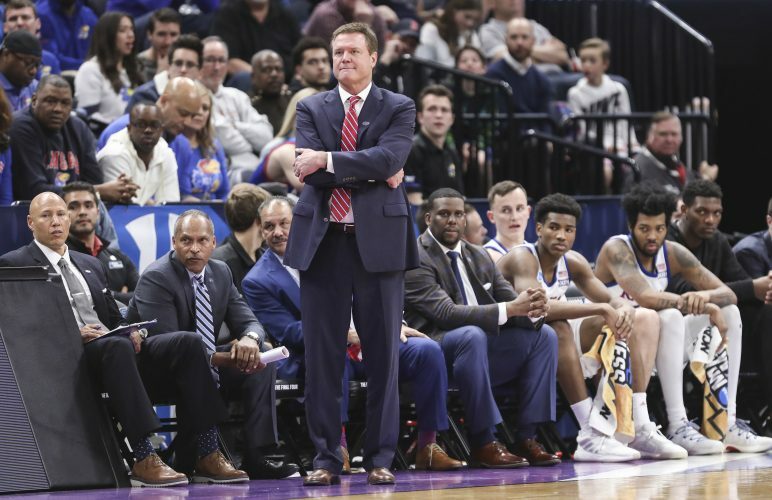 If they spell Kentucky, you’re going to embrace the worst-case-for-KU interpretation of the texts between Kansas basketball coach Bill Self and T.J. Gassnola, formerly a director of an AAU program in Massachusetts and an Adidas consultant. If they spell Kansas, you might opt for the best-case-for-KU analysis. To see what your gut tells you actually happened, you might want to read the texts once. Then reread them, and this time pretend that they were between John Calipari and a Nike man, not Bill Self and an Adidas character sent up from central casting to play his role to perfection. Take your temperature after each reading and note the difference. First, a refresher on what Self said a year and a couple of days ago about third parties such as Adidas helping in recruiting. Self was asked if he was surprised to hear allegations of possible six-figure payments going from Adidas to those influencing recruits to pick a school. He was not apologetic for Adidas officials putting in good words with athletes who might have known the sneaker power brokers because they sponsored their AAU programs, a means to getting an introduction to players they hope will advertise their shoes playing on TV in college and then the NBA. So why wouldn’t Self buddy up to shoe guys who are buddying up to players if it gave him a competitive edge in recruiting? 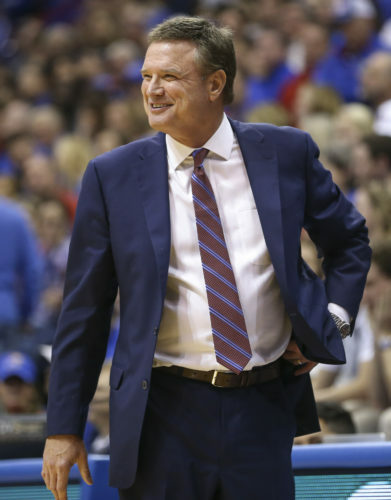 Gassnola thanked Self in a text for his role in completing the contract extension between KU and Adidas. Worst-case interpretation: Self was letting Gassnola know that it’s time for him to do his part to ensure that a couple of big-time recruits commit to Kansas, letting him know he’s happy with what Adidas has done for him so far, but it’s time to get even more aggressive to land even better players. Best-case interpretation: Self was thinking out loud to someone, with whom he has talked for years, about how he needs to upgrade recruiting with a couple of grand slams. Fenny Falmagne is Silvio De Sousa’s guardian. Worst-case interpretation: Gassnola was saying that he was able to pay Falmagne enough so that he could pay back Under Armour the money that that apparel company allegedly had paid to Falmagne to steer De Sousa to Maryland. 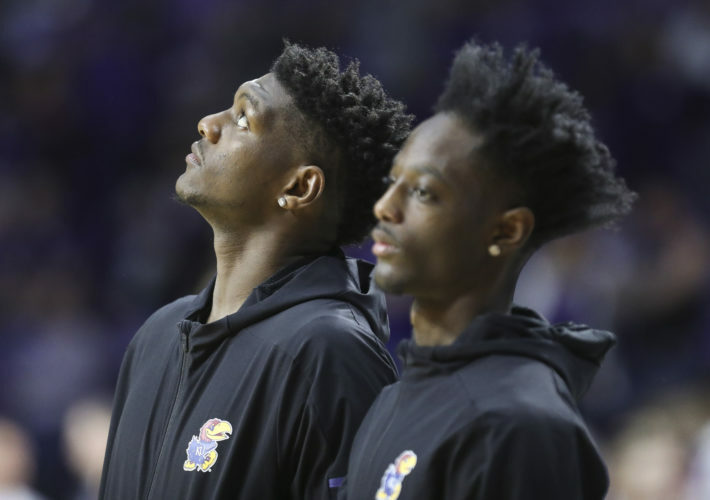 Best-case interpretation: Knowing that Gassnola was tight with the guardian, Self was curious as to Gassnola’s feel for whether De Sousa would decommit from Maryland to come to Kansas. The prosecution in this federal case is trying to prove that schools were victimized by Adidas, which defrauded them by paying athletes who promised with signatures on letters of intent that they will remain amateurs during their times at the school. The defense will try to prove that Adidas helped the schools because the coaches knew what was going on and if they didn’t know, it was because they didn’t want to know. It’s always been my feeling that celebrity head coaches who build programs in part with athletes steered through third parties don’t want to know of anything outside the rules going on, the third party knows they don’t want to know, and makes sure they don’t know. Some coaches toss assistants in front of the oncoming train. In the case of other head coaches, cooler ones, it’s understood by all that assistants also want to know even less than Sergeant Schultz of Hogan’s Heroes fame professes to know before being bribed with a candy bar. That sort of willful ignorance falls under the umbrella of plausible deniability, if only barely. That does not, however, mean that a coaching staff ignorant to rule-breaking necessarily is protected from having victories and banners stripped for playing games with an athlete found later to be ineligible. If the NCAA looks completely the other way here, this case could lead to more rule-breaking, not less. 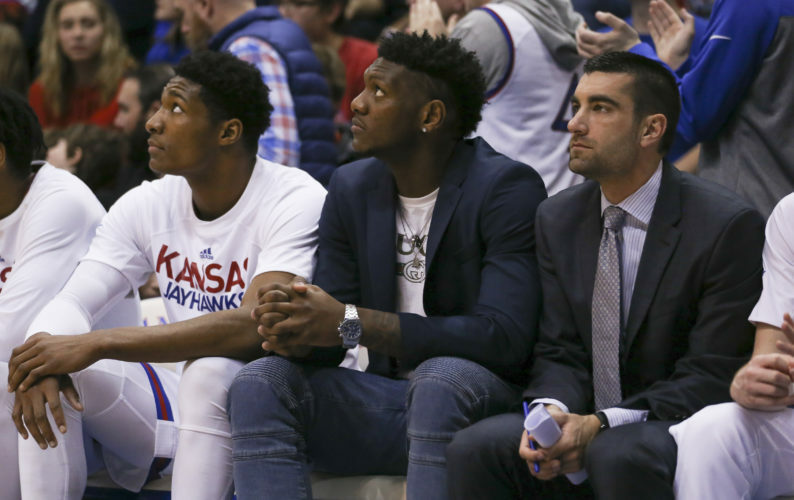 Weighing in KU’s favor, nobody so far has said that KU coaches knew about any payments to recruits. 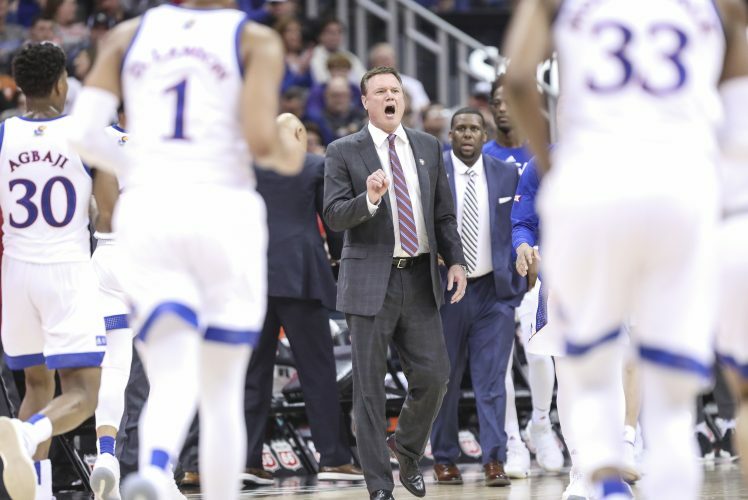 Given that, if the NCAA investigates and finds the same, it could rule that because it couldn’t tie KU to Adidas’ actions, there is no reason to penalize KU. However, the NCAA removed the loophole that enabled Cam Newton to continue to play for Auburn after the NCAA found that his father had shopped him for $200,000, but did not find that either the athlete or the school knew anything about it, so no telling where this could end up. It’s still early to draw any conclusions, but it felt as if it grew more than a day later Monday.